Quality Seafood has a HUGE live Oyster Bar with 25 – 30 different kinds of oysters to choose from. 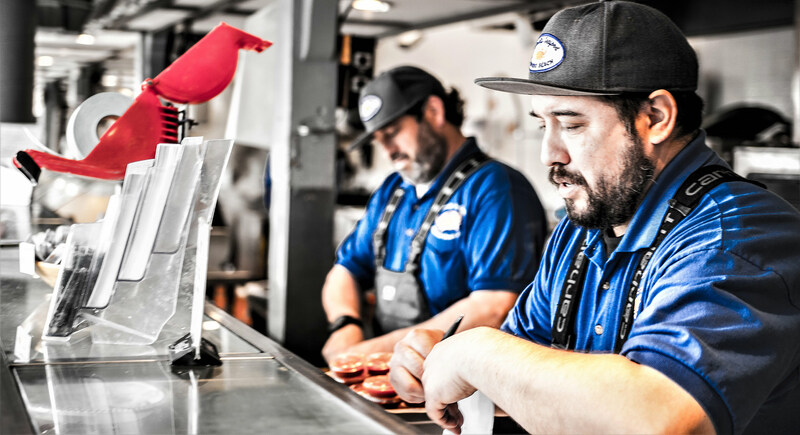 Our oyster shuckers are skilled and knowledgeable. If you’re feeling adventurous, they can guide you through an amazing flight of tastes and textures. We also serve Clams on the half-shell, and we can also shuck oysters for you to take home, or for a large group. That’s not all though, we carry around 10 different types of clams, 2 types of mussels, cockles, periwinkles, and Conch. All LIVE, and steamed to order. If you’re a bit overwhelmed with our selection, don’t hesitate to ask questions. Our crew will be sure to guide you in the right direction and cook it to your liking. See you down at Quality Seafood soon!